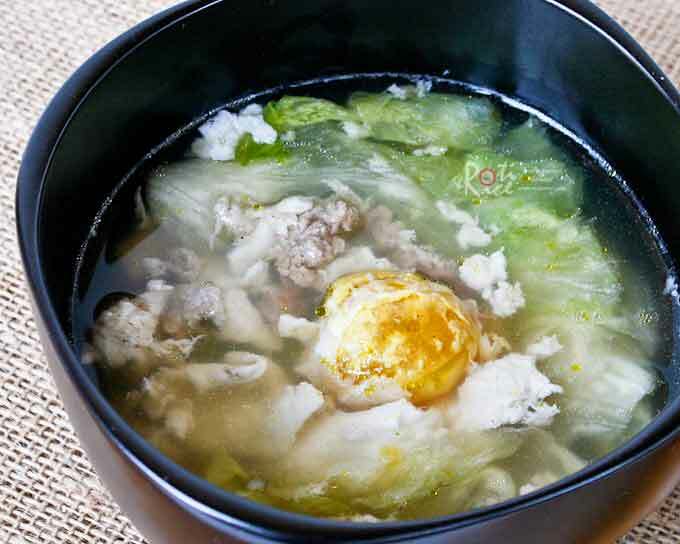 Salted Egg Drop Soup – a twist on a popular classic made even more tasty with the addition of ground pork and salted egg. As you may well know, I recently made some Salted Eggs using the brining method. Homemade salted eggs are really nice because one can control the level of saltiness preferred. It is also a breeze to prepare as it only requires a simple salt solution. The hardest thing is the waiting because it takes three to four weeks for the eggs to cure. Salted Eggs are either boiled or steamed. I don’t think they are ever fried as the yolk is firm although the white remains runny. People do steam the yolks and mash them before adding to stir-fry dishes. When boiled their texture is like that of a regular hard boiled (cooked) egg. They are NOT at all rubbery like pickled cooked eggs. These eggs are usually eaten with rice congee or used as a flavoring for other foods. A really child-friendly and tasty dish I grew up eating was Steamed Pork with Salted Eggs. The saltiness in the eggs reduces or elimates the need for more salt when cooked with other ingredients. Salted eggs are also nice in soups. Instead of using regular eggs for egg drop soup, I decided to use one of my salted eggs. This soup together with a rice cake makes a quick and easy lunch. You may not achieved the silky strands or ribbons of egg in a classic egg drop soup but this Salted Egg Drop Soup was pretty tasty and is a good way to use those salted eggs. You can also try this Ochazuke I shared some weeks back. Salted Egg Drop Soup - a twist on a popular classic made even more tasty with the addition of ground pork and salted egg. Heat vegetable oil in a small saucepan. Add ground pork and minced garlic. Sauté till pork turns opaque, about 1 minute. Pour in water and bring it to a boil. Reduce heat to low. Season soup with ground pepper. Crack salted egg into a bowl. Gently pour it into the soup. Allow soup to simmer gently for 5 minutes to cook egg yolk. Taste soup and add a little salt if necessary. Add lettuce leaves and cook for another minute. Turn off heat. Pour into a bowl. Drizzle sesame oil on the top. 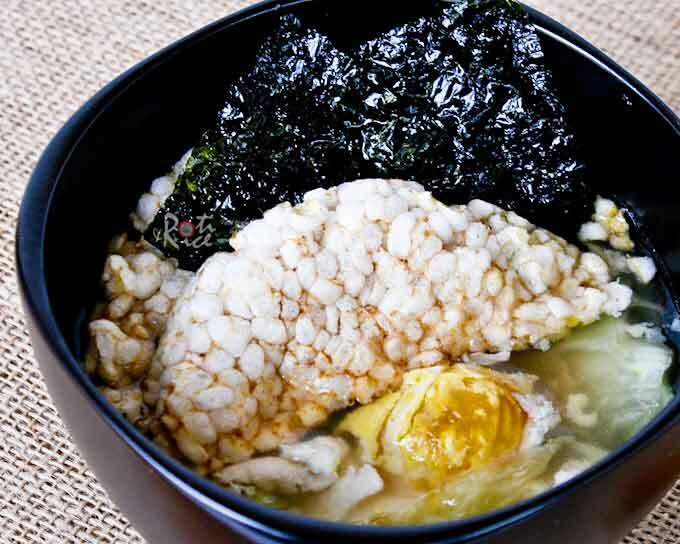 Serve immediately with dried rice cake or a bowl of steamed rice and toasted seaweed. This is it! This will be my dinner, for sure. With some small substitutions, because I only have cabbage and chicken, no lettuce and pork. But that will do. Thanks so much for the recipe! Just what I needed :-). Hi Biren – are you as tired as I am? 😉 I love how comforting this soup looks, though so simple. 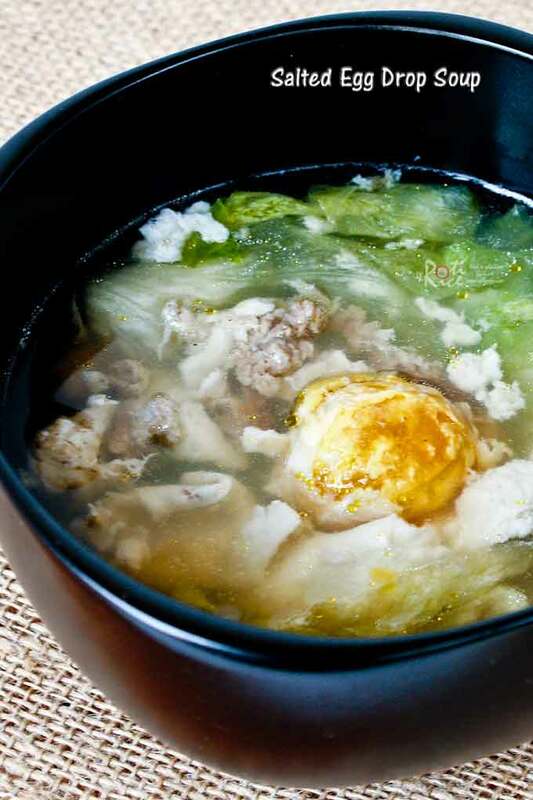 I think I will have fishball soup with minced chicken and lettuce for dinner tonight. No salted eggs, and actually, I have had egg drop soup countless times, but never using salted eggs before. Hmmm….think I need to tell my mum about this! Hey Biren, what a coincidence! I’ve never drank salted egg soup in my entire life until just the other day. I was cooking chicken soup & being the lazy me, I dropped a raw salted egg into the soup instead of water which I normally do & guess what? It burst & my stock was filled with eggs! I quickly removed the shells & not wanting to dispose the soup cause I found it a waste, I took a sip to try. Gosh, it was so tasty! It was an accidental discovery & I’m loving it! Seeing your post makes me feel like an alien. 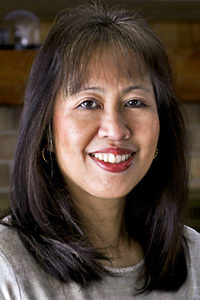 Am I Chinese? How is it that I’ve never heard nor tasted salted egg soup before? Lol! We are always learning and discovering new things, albeit in unexpected ways. Salted eggs in soup is really delicious and Ann just reminded me of chan choy soup with salted eggs. Growing up, that was one of my favorite soups. Brining the eggs are like preserving lemons. It takes a little bit of time but it is well worth the wait. 🙂 You can definitely use regular eggs if you can’t find salted eggs. Biren, I remember I had egg drop salted soup when I was a little girl that my grandma used to cook with a type of vegetable that is purplish in colour. Do you know the name of it? Egg-drop soup using salted egg is new to me! I think it is very creative. yep, I remember having egg drop soup all too well….taste really delicious for such a simple meal. Holy Yum! This soup looks so good! It’s winter in the Colorado mountains today with temperatures in the 30’s. Yuck! I really ready for some fun in the sun! A big bowl of your luscious soup would hit the spot right now! I grew up with clear soups and so I cook them often. They are comfort food for me. This looks like a wonderful and delicious soup- the salted eggs are something different but sound good! I love the new look of your blog, also. Such a simple recipe and it looks beautiful! Biren this looks great I love salted egg this is good for dinner. I’ve never made this nor never tried it, but it sure looks good! After reading this post and some of the comments if looks like it need to try this! Have a great weekend my friend! The soup must be very tasty! I have to try making these salted eggs! And the soup looks great! This is the first time I saw a salted egg on a soup, I will definitely try this out sounds intriguing, I know this would taste good. Looks terrific! I’m really enjoying your salted egg series of recipes – it’s all pretty new to me. Thanks so much. Lovely soup.